The pinnacle of ELAC’s Debut 2.0 Series is the F6.2, a floorstander with credentials to play in the big leagues. Whether your aim is to build a formidable two-channel or surround-sound system for music and home theater, there isn’t a more capable performer for anywhere near the price. It’s a “no-excuses” speaker guaranteed to change your definition of value in high-end audio. 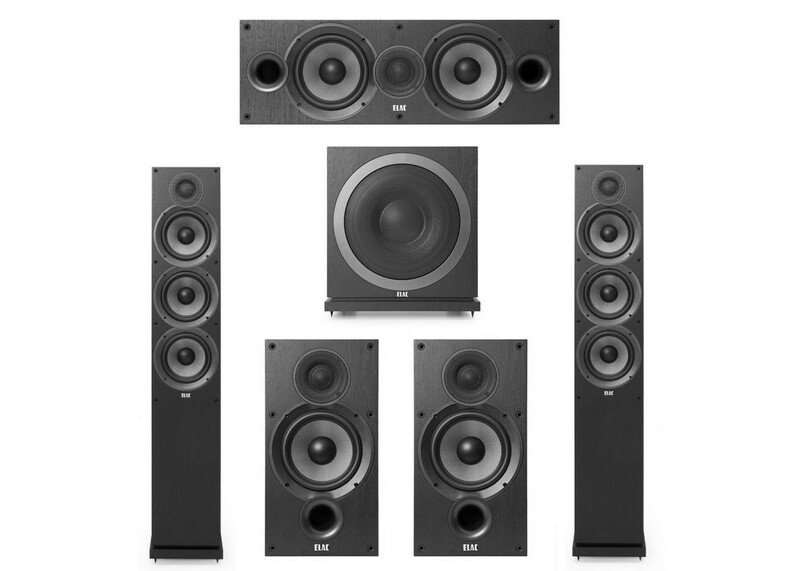 For full scale and power, a serious surround system needs a center channel complementary—and equal to—the front-channel speakers. The new Debut C6.2 paints a majestic soundstage that makes movies and music come alive. New dual front ports allow placement in cabinets or against the wall without compromising bass frequencies. Improving on the B6—a speaker with accolades from the global press and awards from industry professionals—was not an easy task. But constant improvement is what we do at ELAC, and the Debut B6.2 raises the bar for bookshelf performance higher than ever before. Any competition it has starts at many times its price. ELAC’s new SUB3010 is designed as the perfect complement to the all-new Debut 2.0 loudspeakers, adding a powerful bass foundation to music and soundtracks that turns your system into a sensation you can feel as well as hear. Like Debut, the SUB3010 has been engineered and built to deliver huge performance at an affordable price. The compact design allows placement in almost any part of your room, and sophisticated app-controlled EQ assures seamless integration into your system.